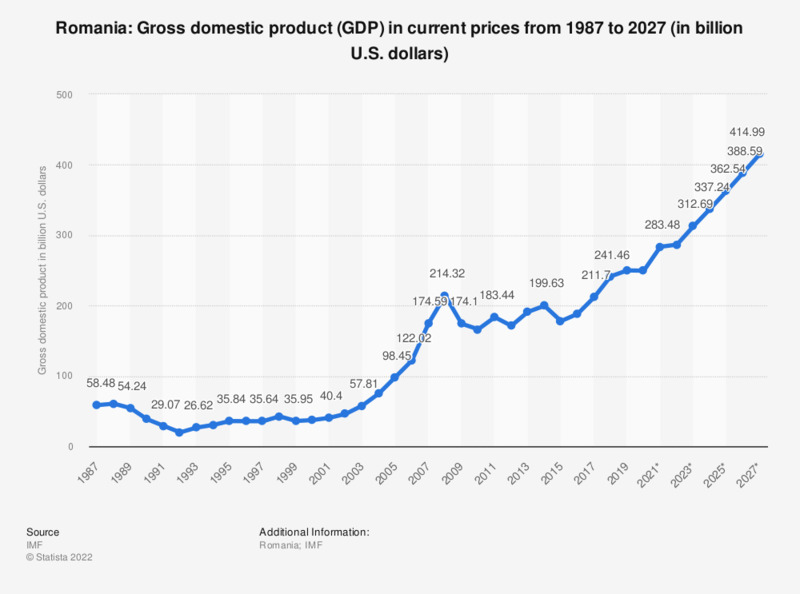 The statistic shows gross domestic product (GDP) in Romania from 2012 to 2017, with projections up until 2022. Gross domestic product (GDP) denotes the aggregate value of all services and goods produced within a country in any given year. GDP is an important indicator of a country's economic power. In 2017, Romania's gross domestic product amounted to around 211.88 billion U.S. dollars. Everything On "Romania" in One Document: Edited and Divided into Handy Chapters. Including Detailed References. Overall, do you think immigrants from Romania make a positive or negative contribution to life in Britain today?